Exiting Your Franchise - What are your options? What are your options and what do you need to be aware of? Check your franchise agreement to see if there is a requirement that you offer the franchise back to the franchisor first. This is referred to as a “first right of refusal” granted to the franchisor. Free to sell: if the franchisor decides not to exercise its rights within the time frame set out in the franchise agreement, then you will be free to sell to a third party. The length of time the franchisor has to consider your offer can range from 30 to 120 days. What you can do: where possible, ensure that your purchaser is locked into a Contract of Sale of Business (“Contract of Sale”) subject to a condition that the franchisor does not exercise its right of first refusal. This way, you will be able to proceed with the sale to your purchaser as soon as the franchisor turns down its right to buy back the franchise. Note here also that most franchise agreements provide a finite window for you to sell and if you are unable to sell your franchise during this period, you need to go through the process of offering the franchise to the franchisor before you can go to market again. Once you are cleared to sell to third parties, they still need to be approved by the franchisor, to have satisfactorily completed all training required and are proven to be respectable, responsible, solvent and capable of conducting the franchise. What you can do: request financial and business references from your purchaser when they sign the Contract of Sale and have them ready for submission to the franchisor as soon as the franchisor declines the buy back offer. A Performance bond (if applicable) – some franchisors require a certain amount of money to be deposited with them to cover your liabilities which may only be revealed or discovered after the transfer. Such monies will be refunded to you in manners set out in the franchise agreement. You may be required to carry out certain refurbishment works and clean the premises. Ensure that you factor this cost into your exit plan. This involves negotiations with the franchisor to try and find a way to reduce your exposure to damages and compensation while keeping the value of the franchise business until a new franchisee comes along. Open negotiations with the franchisor are always encouraged as it is in the interest of both parties that the goodwill of the franchise business is maintained for the next owner. In some instances, the franchisor may offer to buy you out or assist with the management of the franchise (at a fee) until you find a purchaser. This is not a recommended exit choice as you will be in breach of the franchise agreement. The franchisor will have the rights to pursue you for all losses and expenses that it will incur and suffer as a result of your abandonment of the franchise. With a usual requirement that directors of corporate franchisees provide personal guarantees for the obligation of the franchisee under the franchise agreement, your personal assets will be exposed to satisfy such claims from the franchisor. There is no way of knowing the extent of the exposure to damages this will entail. Check to see if there is a clause in the franchise agreement requiring you to assign the lease to the franchisor upon termination of the franchise agreement. In any event, before you vacate the premises, you will be required to reinstate the premises to their condition as at the time of commencement of the franchise/lease. If you are retaining the premises and just getting out of the franchise (no compulsory transfer to franchisor), you will need to de-brand the premises so that they do not resemble the franchised business. Both de-branding and de-fitting (if you vacate) the premises can be very costly. You will be required to make good any damage to the premises caused by you in the de-fitting or de-branding. Note here that some leases and franchise agreements give the landlord or the franchisor (as the case may be) a right to require fitouts to be left at the premises. In this case you may be able to save on defit and reinstatement costs. Now that you are out, are there ongoing obligations? You will be restrained for a period of time after the termination of your franchise from operating in competition with the franchisor. This usually means that you cannot be “involved in” a similar business as your previous business, solicit custom from customers of the franchisor or poach staff from the franchisor (to name some common restrictions). Note here that “involved in” usually extends to your involvement as a director, manager, agent, partner, shareholder or employee of another entity. This effectively means that you cannot work in a similar business for the specified time. You must continue to keep all confidential information of the franchisor confidential. The Privacy Amendment (Notifiable Data Breaches) Act 2017 established a Notifiable Data Breaches Scheme (NDB) in Australia. The NDB Scheme will commence on 22 February 2018. If you are an organisation or agency covered by The Privacy Act 1988, you must be already very familiar with the APPs (Australian Privacy Principles). In essence, agencies and organisations are required to take reasonable steps to protect the personal information they hold from misuse. interference and loss, and from unauthorised access, modification or disclosure. It is now time to review your practices, procedures and systems to ensure that you are ready for the NDB Scheme. Over the years, the OAIC has published various guides to assist organisations with compliance under the Privacy Act 1988. One example of this is their Guide to securing personal information. This is a very useful guide which does not only take you through the basic concepts of what constitutes personal information and sensitive information but also provides practical guidelines as how to conduct a privacy impact assessment (PIA) which identifies the impact the proposed activities might have on the privacy of individuals and sets out recommendations for managing, minimising or eliminating the impact. The PIA assists an organisation with identification of any personal information security risks and the reasonable steps that may be required to be undertaken to protect that personal information concerned. The OAIC has devised a guide to assist organisations in their development of a Data Breach Response Plan as well as a Guide to handling personal information security breaches. These contain detailed steps and considerations to be taken into account to ensure that appropriate practical measures are adopted where there is or a suspected data breach. Risk assessment – Identifying the security risks to personal information held by the organisation and the consequences of a breach of security. Privacy impact assessments – Evaluating, in a systemic way, the degree to which proposed or existing information systems align with good privacy practice and legal obligations. Policy development – Developing a policy or range of policies that implement measures, practices and procedures to reduce the identified risks to information security. Staff training – Training staff and managers in security and fraud awareness, practices and procedures and codes of conduct. The appointment of a responsible person or position – Creating a designated position within the agency or organisation to deal with data breaches. This position could have responsibility for establishing policy and procedures, training staff, coordinating reviews and audits and investigating and responding to breaches. Technology – Implementing privacy enhancing technologies to secure personal information held by the agency or organisation, including through such measures as access control, copy protection, intrusion detection, and robust encryption. Monitoring and review – Monitoring compliance with the security policy, periodic assessments of new security risks and the adequacy of existing security measures, and ensuring that effective complaint handling procedures are in place. Standards – Measuring performance against relevant Australian and international standards as a guide. Appropriate contract management – Conducting appropriate due diligence where services (especially data storage services) are contracted, particularly in terms of the IT security policies and practices that the service provider has in place, and then monitoring compliance with these policies through periodic audits. as these would dictate both the extent and breadth of the measures to be undertaken. 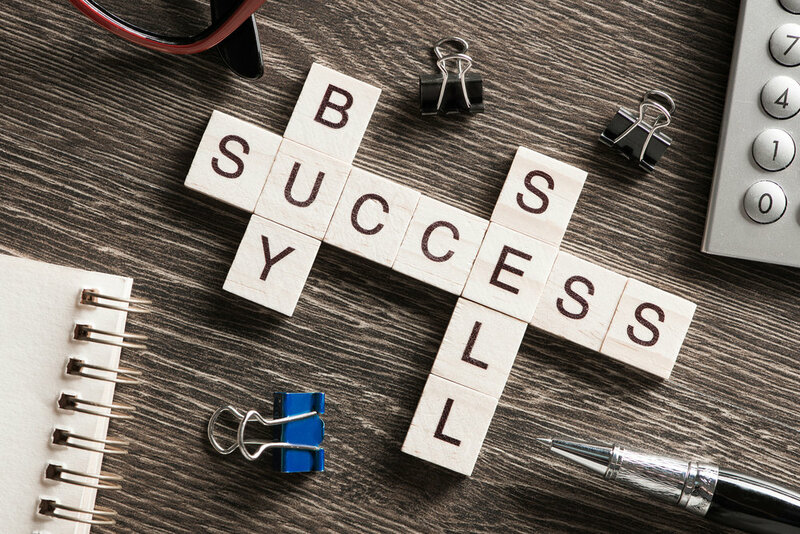 Various employment types and options are open to business owners and it is important to get the right combination of employment types that suits the unique requirements of your business. Very often, business owners feel that their hands are tied when it comes to negotiating employment or hiring terms in light of the operation of the Fair Work Act 2009. This is often due to a lack of understanding as to how to work within the parameters of our employment law landscape. Consider taking advantage of the option to offer annualised salaries which are more certain for both the employer and the employee rather than relying on an hourly or weekly rate. Take advantage of the award flexibility option in most awards to tailor particular roles to individual employees. It is possible to vary overtime, penalty rates, allowances, leave loading and the times for when work is to be performed for each role. A carefully drafted employment agreement can alleviate any concerns that either party may have deviating from the Act’s standard requirements. Step 2: Determine the combination of full time, part time and casual employment positions that best suit your business. The security of permanent employment can foster a sense of belonging in the employees resulting in a more stable and reliable workforce for your business. The Fair work Commission has ruled in favour of incorporating a model casual conversion clause into 85 modern awards and a minimum engagement period into 34 awards. The aim of the conversion clause is alleviate concerns that casuals working effectively part time or full time hours are not afforded permanency of employment. View a copy of the decision here to ascertain if the model clauses apply to your business and if so, how they can impact your existing labour structure. Open communications with your employees are important and very often, conversations initiated by management will go far in identifying the employees’ needs and matching those with that of the employers’. More often than not, a mutually beneficial agreement between the employer and its employees addressing both parties’ concerns will create an environment conducive to positive culture and increased productivity. FWA has issued an enterprise agreements benchbook setting out what you need to know when considering an EBA for your business. This document is not only just required so that you can discharge your legal obligations. It is the “go to” document for employees and management. This ensures there is clear understanding as to the rules, expectations and consequences across your organisation. There are templates that can be downloaded from Business Victoria website. *Where required - An Award Flexibility Agreement varying Award provisions allowed under the Act can be useful too. A working and up to date knowledge of the Fair Work Act 2009 and all related legislation including the Occupational Health and Safety 2004 Act will assist you in your budgeting and provisioning for your labour requirements. Whether you are an angel investor or are looking to invest in established businesses, you need to be aware of your rights as stakeholder in the entity even when you are not intending to be involved in the operations of the business. suppliers and their terms of trade. The above are also relevant to business purchase due diligence investigations and more details can be found in our previous article. If you are buying into a private company structure, you will be a shareholder of the company. To be entitled to an entrenched seat on the Board of Directors and be represented at Board level. Note: There is usually a shareholding threshold for board representation and you need to be clear on what this is. Whilst a certain level of risk is acceptable in any investment, all investors should take care in their due diligence investigations and ensure that their investment is best protected in every possible way. This starts with a carefully drafted shareholders agreement which works hand in hand with the company's constitution. Request a copy of the company’s constitution and shareholders agreement to understand your rights and obligations. Negotiate terms to be included in the shareholders agreement to protect your investment. NOT SURE ABOUT HOW TO PROTECT YOUR RIGHTS? Australian Bureau of Statistics figures show there were 28,527 units completed over the December 2016 quarter, compared to 28,102 houses in the same period. This is 5901 more than the number of units built during the September 2016 quarter. In Melbourne, we continue to see new developments enter the market and potential buyers are really spoilt for choice. These apartment purchases usually come with a daunting 200 (approx.) page contract which the agents advise is a “standard” off the plan contract. What are the “standard” conditions and how they affect you? As construction hasn’t started with the development, the subdivision plan which carves out your apartment from the title of the whole block is not registered when you sign the contract. A proposed Plan is included in the contract to give you some idea as to the location of your apartment within the development but you will not have any right to claim compensation from the developer if the Plan as registered is not exactly the same as the proposed Plan in the contract unless the amendment "materially affects" your apartment. The developer also has ample rights to terminate the contract for a variety of reasons. Usually, when land is being developed and various planning and building permits are obtained from Council, agreements will be made between the developer and Council/or other relevant authorities regarding the land and such agreements (known as S.173 Agreements) will be registered on title which will affect all future owners of the land. You will be bound by all these obligations whatever they are. Most of these obligations apply to the developer during the construction period and do not have any ongoing effect on the purchaser. However, there can be maintenance provisions or restrictions which will bind all future apartment owners. The building is usually constructed pursuant to a building contract between the developer and the builder where you do not have any contractual relationship with the builder. Usually the Works are not detailed in any architectural drawings with only a list of fixtures and fittings for your information and selection. The developer may approve variations to the Works and the substitution of the standard finishes and fittings with other finishes and fittings of the same nature and similar quality without your consent. There is also a defects and faults liability period which will run from the date of issue of the occupancy permit ("Defects Liability Period"). You are required to advise the developer of any defects within a stipulated time period after settlement if you require those defects rectified. Please note that as you do not have any "agreement" with the builder, you will need to rely on the developer to arrange for the defects to be fixed during the Defects Liability Period. Essentially, what is stated in the Plans and Specifications can change as well as the proposed configuration of the apartment. You must comply with the Owners Corporation Rules which govern and regulate how common property is to be used by all. Usually until the developer has sold all of the units in the development, you are not allowed to exercise your voting rights as owner at Owners Corporation meetings which may hinder the completion of the development, delay the approval required for the development, be contrary to the reasonable directions of the developer. You are not allowed to sell, transfer or enter into an agreement to sell the apartment until after settlement. The purchase price does not normally include connection to utilities and if some utilities are not available to the apartment at settlement, you will not have the right to delay settlement. It is your responsibility to connect the utilities to your apartment or pay the developer additional fees for such connections. The final location of the car park and storage units can change from the locations indicated on the Plan attached to the contract as the developer has full rights to rearrange such locations. If your apartment is part of a staged development, the developer has the right to decide when and how the next stages of the development will take shape. You must also be prepared for any inconvenience or disruption that may affect your enjoyment of your apartment arising from future construction works. Given the right on the part of the developer to make changes to the Plans and the finishes and fittings, you may find the end product very different from what you may expect. With off the plan contracts, you are buying a property without seeing what it is like and when the plans that you are shown can be changed by the developer, there is no guarantee that what you will get will meet your expectations. Note: The information contained in this article and on www.laulegal.consulting website is general information only and does not constitute legal advice. Whether you are a B2C or B2B business, you need to be aware of how unfair contract terms laws can affect the way your business operates. The national unfair contract terms laws that came into effect on 1 July 2010 allow courts to declare unfair terms, when found in standard form contracts, void. From 12 November 2016, the unfair contract terms laws extended to protect small businesses as well (with some exclusions). Small business owners, subject to certain pre-requisites, are now protected when they are on the receiving end of unfair standard contracts. It would cause detriment to a party to the contract if it were to be applied or relied upon. In determining whether a term is unfair in accordance with the above, the whole contract needs to be considered as well as the term's transparency. Terms that are excluded are those that set the upfront price and subject matter of a contract and those that are permitted under another law. Example: telecommunications companies (prior to ACCC’s review and recommendations) had clauses requiring consumers to pay subscription fees applicable to the plan where fees and charges could be altered from time to time. To comply: delete the right to vary fees or allow consumers to terminate the contract without penalty if they do not agree to the new fees. Example: If you are a booking agent (for hotels, airlines,) and have not disclosed your agency relationship with the providers of the services and have included in your contract that you are not liable in the event that services are not available. To comply: It is advisable that your agency relationship be disclosed and that you accept liability for your failure to provide the agency services which results in the non supply of the travel services. Example: Fitness studio long term contracts can be challenged if consumers are not made fully aware of the duration of the contract or the practical effect of exit and termination clauses when they sign up. To Comply: Sign up procedures must ensure that consumers understand the exact duration of their contract, the effect of the exit and termination clauses with the removal of unnecessary and onerous pre-requisites to termination. Example: Telecos having the right to terminate for “excessive or unusual use” where such clauses were designed to prevent customers from on-selling and supporting spamming and illegal activities. The provision, however, when couched in broad terms without definition or explanation, were found to have provided a broader right to the Telcos which verged on being unfair. To Comply: A definition of “excessive or unusual use” was inserted to limit the telco’s rights to instances the clause was intended to prevent in the first place. Example: Clauses requiring consumer to pay for all charges regardless of whether they authorised that use or not. Businesses reviewed by ACCC included major car hire companies and telcos. To Comply: Here it is a matter of creating a balance between the supplier’s and the consumer’s rights. Perhaps guidance should be given to consumers as to how to prevent unauthorised use and transparency as to the limited circumstances when the customers assume responsibility for unauthorised use. Example: Supply contracts sometimes contain a provision which places the responsibility on the part of the consumer to make his/her own enquiries and that statements made by the business/its agents or representatives not included in the written contract do not form part of the deal. To Comply: Either a very limited application be accorded such provisions or these provisions need to be deleted in its entirety. Example: Provision stating that all warranties not specifically included in the contract are excluded. This is in contravention of the ACL (Australian Consumer Law) and is not valid. To Comply: Such provisions must be qualified to the extent that they do not contravene the ACL. Credit card chargeback rights cannot be removed. relates to the supply of goods and services or the sale or grant of an interest in land. The guiding principle here is that a purchaser’s indemnity should only cover losses and expenses caused by its breaches or default and that a supplier should accept responsibility for its obligations. A balance of the rights and obligations of the supplier and purchaser needs to be struck when drafting these clauses. Rights of termination by the supplier are to be assessed in light of the possible adverse consequences to the purchaser and the seriousness of the breach that triggers the right. While acknowledging that the cost of supply to businesses can change during a long term supply contract, it is unfair to allow suppliers to amend pricing without the consent of the purchaser or giving the purchaser the right to terminate the contract if new pricing is not agreed. These charges can be fair if they are your genuine estimate of losses if the customer terminates the contract prior to the expiration of the term. If you are a franchisor, then the restraint of trade in your franchise agreement needs to be reasonable in terms of the restraint area, duration and activities. In ACCC v Chrisco Hampers Australia Ltd  FCA 1204 the Federal Court found a term in their lay-by agreement authorising Chrisco to continue debiting customer’s account after full payment has been made was an unfair term. Whilst there are no pecuniary penalties for breaches of s.23 of the ACL, the Court separately found that Chrisco made a false and misleading representation under s.29 of the ACL that customers could not cancel a lay-by agreement after making their final payment and imposed a penalty of $200,000.00. Exetel, in 2015, informed its broadband customers who were on a 12 month fixed term plan that they were required to either change their broadband plan or terminate their Exetel service without penalty. The term that Exetel relied on in making this announcement was a clause which allowed Exetel to unilaterally vary its agreement for any reason. The ACCC considered that clause an unfair contract term and liaised with Exetel which resulted in the removal of the said clause, a refund of any additional monthly subscription costs incurred for the residue of the fixed term for customers who changed over to a new plan and a refund of any activation charge previously paid by customers who elected to terminate their service. Conduct a review of your standard supply contracts to ensure that you are compliant. If you are a small business and have contracts with suppliers falling within the scope of protection referred to above, be mindful of the protection afforded by the ACL when negotiating your terms with your suppliers. Great ideas when implemented strategically, in the right place and at the right time, will take off and make their mark in no time. Founding a business, however, is more than just having a great idea. It is akin to building a multi storey building the height of which is determined by how steady and broad the foundation is. Various professionals with expertise in accounting, capital raising, legal compliance and risk management are required to turn an idea into a commodity or service offering. This is usually liability, tax and scale driven. For instance, if you are aiming for a medium to large scale business, perhaps with a few business partners, it is best to opt for a limited liability company as the trading vehicle. Here the tax rate is currently 30% and provided that the the company does not trade insolvently, liabilities are limited. This is to quarantine your important assets from risks associated with the running of the business. If you are building a unique brand from day 1 and are looking to carve out a niche in your relevant industry, having a distinct brand (consider ways to protect your brand in our previous article) is imperative. The brand itself will accumulate goodwill and such goodwill will become an important asset of the business. Other important assets can be leasehold interests of the premises if location itself carries goodwill or has the potential to with respect to your business. If you own the freehold, then definitely this should be held in an entity separate from the trading vehicle. At this point, how the shareholdings are to be held, whether a discretionary or a unit trust should be considered to sit behind the trading vehicle or asset holding vehicle or whether debt or equity contribution is to be preferred, will also need to be decided. Ground rules need to be set amongst business partners so that there are clear roles and responsibilities, entry and exit strategies, couched always in terms to ensure that the business’ interests are well balanced against the interests of individual shareholders. Partial shareholders' agreements which favour majority shareholders may not withstand an oppression challenge. To ensure minimal business interruption, ongoing funding rules and exit strategies are particularly important (refer to our previous article). You will want as little disruption to the business from your business partners as possible and 100% co-operation from them to propel the business to heights that will benefit all. Each industry is governed by its own set of requirements, ranging from specific permits, planning and building regulations, Modern Awards (which sets the minimum employment conditions for your employees) to quarantine regulations if you are importing ingredients or goods into Australia, to name a few. The timing and cost of compliance must be factored into the business model. Ensure that the permitted use is broad enough not just for your business but also allows you to assign to a third party which may want to put the premises to a different use. An assignment of the premises mid term may not mean that you are selling your business (in which case the use will be the same), you may be expanding and therefore need to move to larger premises. To have a limited permitted use in the lease may reduce your chances of a timely assignment. If you are looking to carry out renovations or a change of use of the premises dictates that a planning permit and a building permit be obtained, this must be taken into account when negotiating the lease. Otherwise you may find yourself at best having to pay rent during the long dragged out period of planning permit application, dealing with objections, getting plans drawn and a building permit issued or at worst bound to a lease without a valid permit to operate your business. Here, a large group of professionals will be involved: architects, designers, builders, town planners, building surveyors, suppliers/installers of materials, painters, electricians and this list is not exhaustive. It is important that all these professionals work together to ensure that the end result is built for its purpose and is done properly. The contract with the builder needs to state the scope of works clearly and what the builder’s obligations are. Very often, when problems arise, it is hard to pin point which party should be responsible for rectifying the faults. For instance, where the flooring is selected by you and the builder is asked to source the flooring from the supplier and install the same, who is responsible for the costs of lifting and re-installing floor boards when a manufacturing fault is discovered? Here the manufacturer/supplier is clearly at fault but the builder, if it has followed installation instructions perfectly, cannot be held liable to lift the old and relay the new flooring. Equally, the interior designer, architect, structural engineer and the builder need to work together to ensure that the design takes into account the location of drains, pipes, weight loading thresholds, power supply and that the materials used are fit for the purpose of the build. Only then can you be assured that the fit out works can be carried out in a cost effective and timely manner. 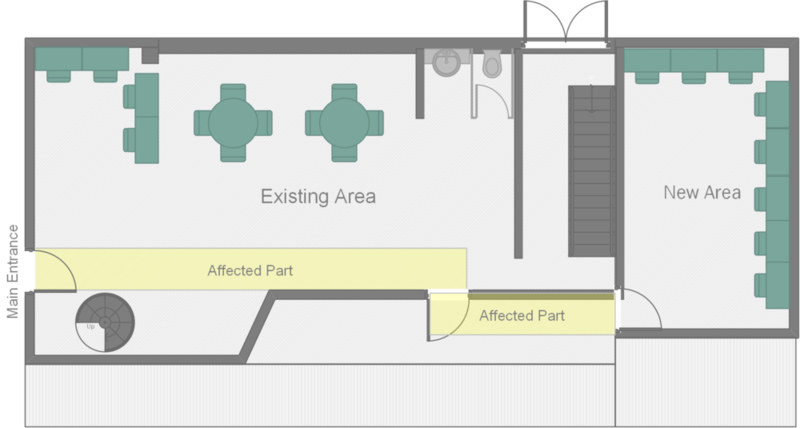 Does your Lease have provisions for fit out works to be effected? How long will the landlord’s consent take? Should a request be made to the landlord to contribute to the fit out cost? Are there additional costs involved in obtaining the landlord’s consent? These are all questions to be mindful of when negotiating with the landlord. Care must always be taken to understand all your obligations as tenant under the lease and in particular, your responsibilities with respect to maintenance and reinstatement. In addition to the mandatory insurance policies required to be taken out under the Lease, you should consult your insurance broker as to other advisable insurance policies to take out to cover business interruptions and other risks. Public Liability, Plate Glass, Contents and WorkCover insurances are usually mandatory requirements under commercial leases. To create a market for your products or service offering, you will need marketing, communications advisers to put your offerings in front of your target audience to elicit engagement and response. Different industries call for different marketing methodology and a product/offering strategically positioned in the market place can take off in leaps and bounds. This is also the time to ensure that agreements with your suppliers, employees, contractors are in place to provide seamless delivery of quality product/service and that your chosen branding is registered with all trade secrets adequately protected. A solid foundation gives you the peace of mind to focus on growing your business, fostering customer relationships, nurturing staff and gives you the time to attend to the day to day management demands of your business. When you start to venture into multiple locations, interstate or overseas opportunities, further ground work will be required to support such growth and you will need to revisit all the above considerations in light of the new venture (using a separate entity or creating an associated entity of the existing framework). The Country of Origin Food Labelling Information Standard will be enforced from 1 July 2018 affecting businesses in the food industry that supply food for retail sale in Australia. Failure to comply with the Standard or inaccurate description of food labelling will not only expose your business to fines of $40,000.00 (for individuals) and $200,000.00 (for companies) under the Food Act 1984, the contravention can also potentially constitute misleading or deceptive conduct under the Competition and Consumer Act 2010, which carries a maximum penalty of $1.1 million for corporations and $220,000.00 for individuals. Do you supply or manufacture priority or non priority foods? Note there are exceptions specified by the ACCC in each of the above category. Here, only a text statement about where the food was grown, produced or made is sufficient such as “Product of Australia”, “Made in Thailand”. Food packaged in a country which originates from more than one country will need to contain a statement that identifies where the food was packaged and indicates the food is from multiple origins or comprises imported ingredients. For priority foods, were they produced, grown, made or packaged in Australia or in another country? Did the food materially increase in size or was materially altered in substance by natural development or were germinated or otherwise arose in that country. Note: only food that are exclusively grown in Australia can bear the “Grown in Australia” label. Here we look at the significant ingredient in the food and where that was grown or otherwise obtained. Note: only food that contains exclusively Australian ingredients can carry the “Produced in Australia” label. The overlap of the concepts of “Produced in” and “Grown in” will see such labels used interchangeably where food grown in Australia are also produced in Australia. This concept looks at the place where the last substantial transformation of the food product was effected. A last substantial transformation process is usually the process that brought about the final identity, nature or essential character of the food concerned. Where processing procedures are involved, it is useful to consider whether such processing would bring into existence a fundamentally different product. For instance, roasting a green coffee bean to make coffee for consumption. When a food is grown, produced in, packed or made in Australia, it is mandatory that proportion of Australian content be disclosed. Where businesses cannot accurately identify the percentage of Australian content in a food, the claim that the food contains Australian content cannot be made. Proportion here is based on weight of the ingredients where processing aids and water (when used other as an ingredient) are excluded. In some instances, disclosure of “average proportion of content” is allowed where the origin of certain individual ingredients may vary due to reduced availability or seasonal changes. Such averages are worked over any continuous 12, 24 or 36 month period within 2 years before the date the labelling is affixed to the product. When labeling these products, they must include a text stating “ingredient sources vary – average *% Australian ingredients” and a direction available to consumers to contact information or website to access further information on the product. There is a label library available to assist businesses to design their country of original food labels, packaging and marketing materials. First step: Utilise the Department of Industry, Innovation and Science’s online decision tool to ascertain whether you need to display a country of origin label on your products. Next step: Where the proportional Australian content must be displayed, ensure accurate calculation and display requirements. Final step: Ensure the compliance date of 1 July 2018 can be met by taking actions now. Businesses of various sizes in different industries are bought and sold every day. As prospective purchasers, what can we do to ensure a smooth transition with no surprises, both before and after settlement? warranties and claims and whether it is subject to any legal proceedings, unrealised legal claims and any contingent and other potential liabilities. In order to obtain the above information from the business owners, you will usually be required to sign a NDA (Non Disclosure Agreement) which will restrain you from using or disclosing the information other than for the express purpose of evaluating the business for a purchase consideration. Having reasonably satisfied yourself that you have identified the business to purchase, the next step is to negotiate the price with the vendor. Ideally, you should not sign any document at this point before obtaining legal advice. If you are dealing with a business broker, you will be asked to sign a Heads of Agreement setting out the commercial terms of the proposed purchase. If you do not have time to engage a solicitor to provide advice to you before signing, ensure that you make the offer "subject to the approval of the purchaser's solicitor and the execution of a formal contract to be approved by the purchaser's solicitor.". The vendor usually provides the draft contract for your consideration. This contract sets out the terms and conditions of the business purchase. if you are taking over any employee of the business (within 3 months of the settlement date), you will need to verify all accrued employment benefits and understand whether they are governed by Modern Awards, under an enterprise agreement or otherwise. The manner in which the vendor manages the cessation of the employees' terms will have an impact on the calculation of the various types of employment benefits after they become your employees. There have been due compliance with industry and trade regulations and any contraventions must be rectified by the settlement date. Various due diligence investigations will need to be undertaken to ensure that the business is compliant by the settlement date. inspect the business premises and all assets to be transferred to ensure that they are in the same condition they were in when the contract was signed. Is Franchising an Option for My Business? More and more businesses are looking to franchising as a means of expansion. Franchisees usually have greater commitment and accountability than employees as they share the risks as owners of their respective franchises. However, not every business is suitable to be operated as a franchise. What then, are the preliminary questions that all prospective franchisors should ask? A. What is my business model? Strong, competent and ethical management. The business model must ensure that franchisees will make an adequate return on their investment. Unsuccessful franchisees will fail to pay ongoing royalties and may take legal action against the franchisor to recover their losses. Inadequate returns will make it difficult to attract quality franchisees. The network must generate sufficient profit for the Franchisor to make and system worthwhile. The franchisor's revenue is dependent on continuing royalties which is linked to the Franchisee's gross sales. Find out how Franchising can work for your business. Co-mingled Families – Are Wills enough to provide for your loved ones? Second marriages and co-mingled families have their fair share of issues but none more important than the uncertainty that minors may face in the unlikely event that one of the guardians or parents passes away. Where families consist of step children, have joint custody arrangements with ex-spouses, joint assets with ex-spouses and existing partners, just relying on Wills to distribute assets can be tricky. Where new relationships are entered into, existing assets are brought into the relationship, new joint assets are created and children are being born into the new relationship, questions as to who owns what and who is responsible for whom become muddled. As parents, none of us would want to leave the security of our children to chance if something unfortunate were to happen to us. Very often, individuals who have Wills in place clearly stating how their assets are to be divided between their beneficiaries forget to update them to reflect any changed circumstance. This can be fatal as every new relationship brings new responsibilities (imposed by law) and in order to ensure that your loved ones are adequately looked after, your Wills need to be updated and reviewed even before your circumstances change. Having a frequently updated Will has a better chance of bringing about the outcome that you are after at any stage of your life but this only deals with assets when you are gone. Rather than distributing assets after your death, it is possible to lock away certain assets/investments in a trust with specific capital beneficiaries in mind. This way, you know that a particular home, share portfolio, investment property or even monies in bank accounts are earmarked for the benefit of your children from a previous marriage. This trust is controlled by you during your lifetime with the control handed to your executor/executrix named in your Will. By doing this, uncertainties as to possible challenges to your Will are eliminated and more importantly, risks of arguments within the family are minimised. Other than setting aside assets for your loved ones during your lifetime, trusts can be useful vehicles to hold assets and investments. Consult your accountant as to whether setting up a Family Discretionary Trust is the best way to hold your family investments, taking into account tax benefits pertaining to your circumstances, the flexibility of distribution of income and capital and the nature of the assets concerned. Contact us to arrange a consultation or a joint meeting with your accountant and start planning ahead. This is the distinctive indicia for your product or services. This is the repository of customer loyalty, trust, your vision and mission as owner of your business. It can take years for a brand to take shape in customers' awareness and much longer to stand out amongst the many many other similar businesses in your industry. Your brand is a very important asset which carries goodwill and has great value. Firstly you need to make sure that there are no similar names or visual images to the one that you have in mind that are already on the market. Search not just within your industry but generally to see if you have chosen a name that is used for other services. When there are similarities between your chosen mark and a registered or pending trade mark even if you believe you can effectively distinguish your trade mark from the others, assess this from the perspective of the consumers. You do not want to spend money and effort to build a brand only to have similar one joining you for the ride. If you intend to use the trade mark in Australia, you need to register your trade mark with IP Australia. Aspirations to protect the use of the same mark in other countries will require registration in those countries as well. You can choose to make an application under the Madrid Protocol when applying for the Australian registration for countries that are signatories to the Madrid Agreement. Alternatively, you can register in each of your desired country separately. Making the local and international applications at the same time is obviously easier but the drawback here is that the international application rises and falls with the Australian application. For instance, where a particular trade mark is not available in Australia, its international application will also fail. Usually different trade marks are used in different countries, with the exception of global brands, it is always advisable to search your desired country's IP register before deciding whether to register in that country and if so, should a joint application be lodged here in Australia. What if you don't register your trade mark? Unregistered trade marks can still be protected if the user or owner can establish a reputation exists in the marks and that the proposed use of same marks by a third party is misleading or deceptive. Usually this means the trade mark must have been used on a large scale, for a relatively long period of time and let's not forget that proving a reputation is not only costly but also an uncertain process. Rights to such unregistered trade marks are generally limited to the geographical area in which they are used and applied to the designated goods and services. We provide advice on trade mark registration, infringements, design registration, copyright protection and all other matters pertaining to Intellectual Property Rights. More often than not, due to the many many operative considerations that confront a business in the start up phase, founders of the businesses lose sight of the importance of having an agreement between themselves to avoid future disputes and to protect the business from interruptions from internal disputes. If you have established a company, this will be a shareholders agreement. If you use a unit trust as the trading vehicle, this will be a unitholders agreement. Yes and there are many many businesses out there which are operating without this agreement. director misusing information for his/her own benefit to the detriment of the company. Without a shareholders or unitholders agreement, the parties cannot refer to an agreed way to resolve the dispute and the only resort is to the Courts to obtain a Court Order for the outcome that you are after. Needless to say initiating proceedings in Courts involves legal costs in obtaining advice, initiating proceedings and most important of all, your business is left in limbo while you are sorting out your issues with your business partner who now has more important concerns/interests than the the business that you created together. While we cannot anticipate all dispute scenarios that can crop up, it is always best to have the ground rules set right with your business partners before taking the leap together.